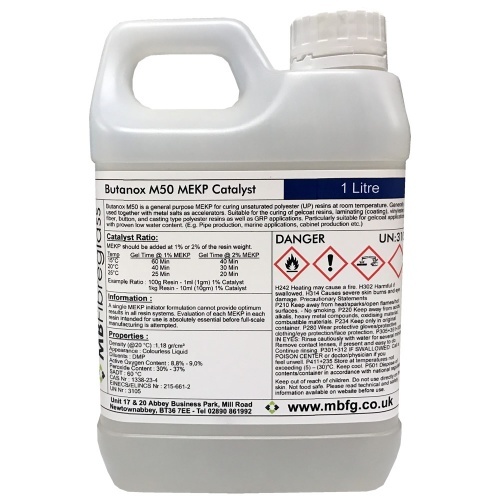 Butanox M-50 is a general purpose methyl ethyl ketone peroxide (MEKP) for the curing of gelcoats resins, laminating resins, polyester lacquers, and bonding pastes. A single MEKP initiator formulation cannot provide optimum results in all resin systems. Evaluation of each MEKP in each resin intended for use is absolutely essential before full-scale manufacturing is attempted.